We asked folks on Incredibly Strange Films Facebook group what movies, "What movie scared you as a kid even though it wasn't meant to be scary?" Here they are: Five movies that fit into kids' nightmares like a Kansas girl's tootsies in ruby slippers. Rent Willy Wonka on Amazon. We totally messed up finding a clip of Watership Down. Here is what played on the show. What is happening?? Rent Watership Down on Amazon. 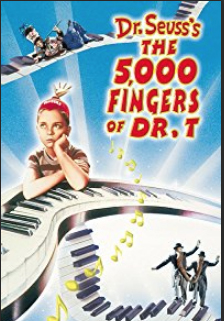 Rent 5000 Fingers of Dr. T on Amazon. Rent Chitty Chitty Bang Bang on Amazon.